Here we are going to show you our next article about Ashiyan Medical College Hospital information. This medical college approved by Ministry of health and Family welfare, Government of the People’s Republic of Bangladesh. This private medical college started its journey in the year 2012 and is an associate of Ashiyan Group. This is a 280 bedded well-equipped hospital with the latest technology. Also, it’s a modern library which contains more than 4000 medical textbooks only for the medical students. Ashiyan Medical College Hospital (AMCH) strictly follows all the curriculum of Bangladesh Medical & Dental Council. We are giving a perception about Ashiyan private Medical College information with Ashiyan Medical College admission process. In here, we have gathered all the details about Medical Collage information and Ashiyan Medical College admission process. Let’s know further more about the topic. 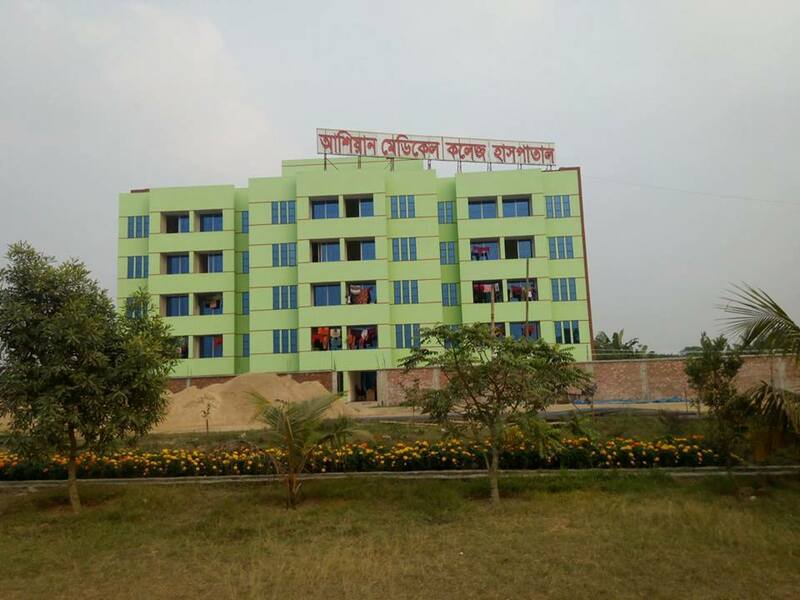 In addition of Ashiyan Medical College information, AMCH is situated in Ashiyan Shikka Nagor Khikhet, Dhaka consisting of modern and beautifully arranged campus with fully equipped academic and hospital building. The institute is in housed in a 4 storied building on its own land and it has got a wide area of open space inside of the building for car parking. In this medical college, there are 3 lecture halls with multimedia presentation facilities, administrative block, and a modern library with recent 4000 medical books in the campus. Also, the institute has hi-speed internet facility for all the student and staff. All the part of the medical college and the hospital is fully air conditioned and well decorated. All the departments list of Ashiyan Medical College Hospital is given below. Ashiyan Medical College Hospital offers 5 years of MBBS course with 1-year internship training in the hospital. The academic session of this medical college starts from January of each year. All the degree certificate of AMCH will give under the Dhaka University. Each year students of science major, HSC/A level or equivalent examination pass candidates are selected through an MCQ admission test. Students are selected on their merits and all the details about Ashiyan Medical Collage admission is published on online and daily newspapers in the late October. For getting further information about Ashiyan Medical College admission, or any kind of query, please contact in these address. Address: Ashiyan Shikka Nagor, Barua Khilkhet, Dhaka-1229, Bangladesh. This medical college accommodated with modern diagnostic lab, consultant chambers, general wards, cabins, Intensive Care Unit (ICU), Operation Theater, mother & child care center, dental center, cardiac center, nephrology, dialysis unit, and much more. So, that is all about Ashiyan Medical Collage information and Ashiyan Medical Collage admission process. Hope you will find all you need to know about. Thanks for visiting www.bdeducationinfo.com. This entry was posted in Medical College, Private Medical College and tagged AMCH medical admission by admin. Bookmark the permalink.